After an offseason roster purge, the Seahawks put together a playoff push even though they ran the ball more than they threw it—an unconventional approach in today’s NFL. Russell Wilson thrived nonetheless, thanks to his mastery of the deep ball and his ability to throw with unreal accuracy into tight windows. In last night’s wild-card playoff game at the Cowboys, the Seahawks stayed with the run just long enough to lose. Offensive coordinator Brian Schottenheimer’s strategy in the first half was downright archaic: run on first down, run on second down, throw on third down. He did this three times, even though it clearly wasn’t working. The analyst Warren Sharp pointed out that Seattle’s first-down runs averaged 2.0 yards per carry, while first-down throws averaged 14.5 yards per attempt. The Cowboys, it should be noted, finished the regular season with a defense that ranked fifth in DVOA against the run. 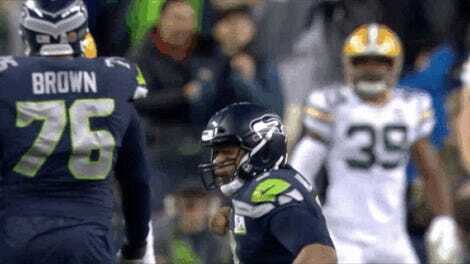 Two drives later, as if to rub it in the face of every Seahawks fan that might have been screaming at their television set, Seattle stumbled into its first touchdown with another run-heavy sequence that had to be preserved by some heroics from Wilson. After pinning the Cowboys deep their own territory, the Seahawks took over at the Dallas 44. They ran it twice for a total of three yards on first and second down, only to then hand the ball to Mike Davis on third and 7. That bit of innovative brilliance gained two yards. Had Doug Baldwin not made an amazing catch on an amazing throw from Wilson on the next play, the Seahawks would have squandered the opportunity. It still took a pair of runs by Wilson—including one on third and 5 after two more first- and second-down runs—for the Seahawks to finally find the end zone. 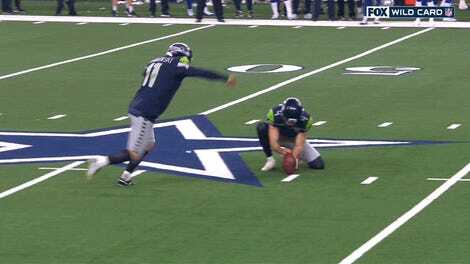 After the Cowboys retook the lead a few minutes later, what do you think the Seahawks did on first down? Yup: a run to Chris Carson. It lost a yard. That possession would end with another three and out. 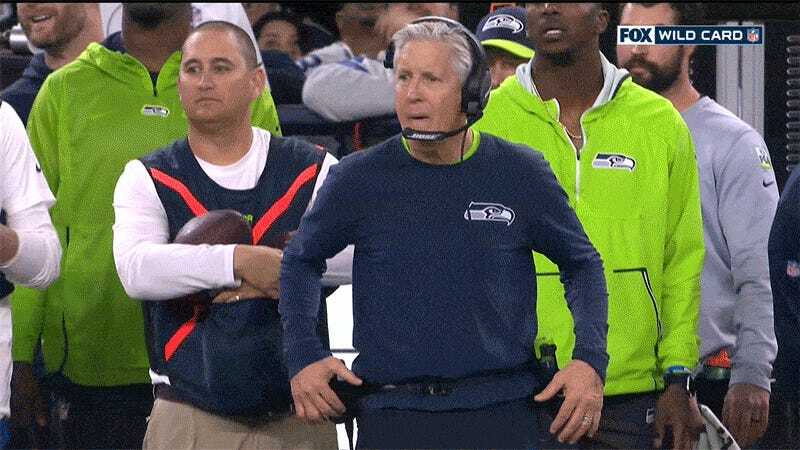 The Seahawks’ next possession quickly got short-circuited by penalties on their first two plays. By the time Seattle got the ball back again, it was a two-score game with a little more than two minutes remaining. Wilson promptly stitched together a six-play TD drive by throwing on every down. Wilson averaged 8.6 yards per attempt and finished with a passer rating of 105.9. The Seahawks’ running backs averaged 2.8 yards per carry. Schottenheimer can take solace in having re-established a run-first identity. How Are Russell Wilson And The Seahawks Doing This? What The Hell Is Jim Irsay Saying Here?